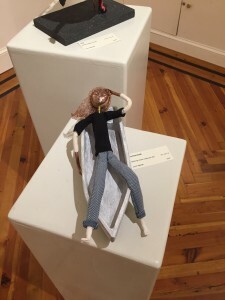 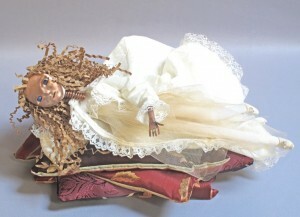 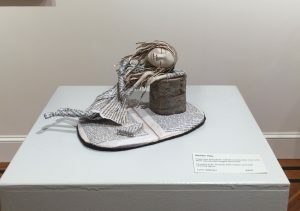 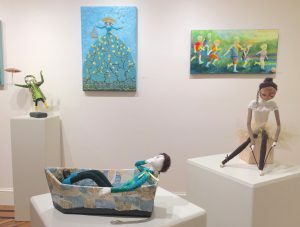 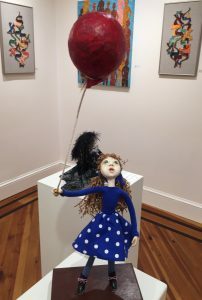 The new show at the Hillsborough Gallery of Arts including my newest art doll figures is now installed. 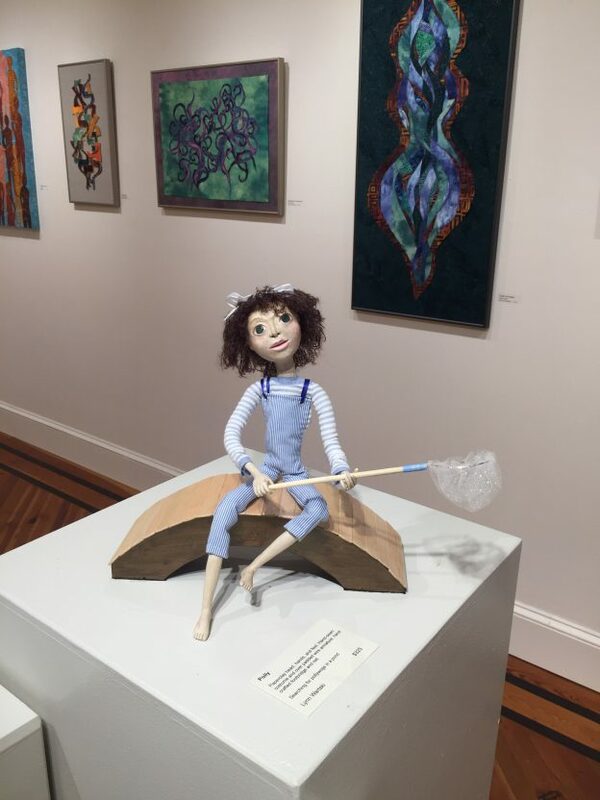 This show that features my sculptures along with the paintings of Eduardo Lapetina and Pat Merriman will run through June 21st. 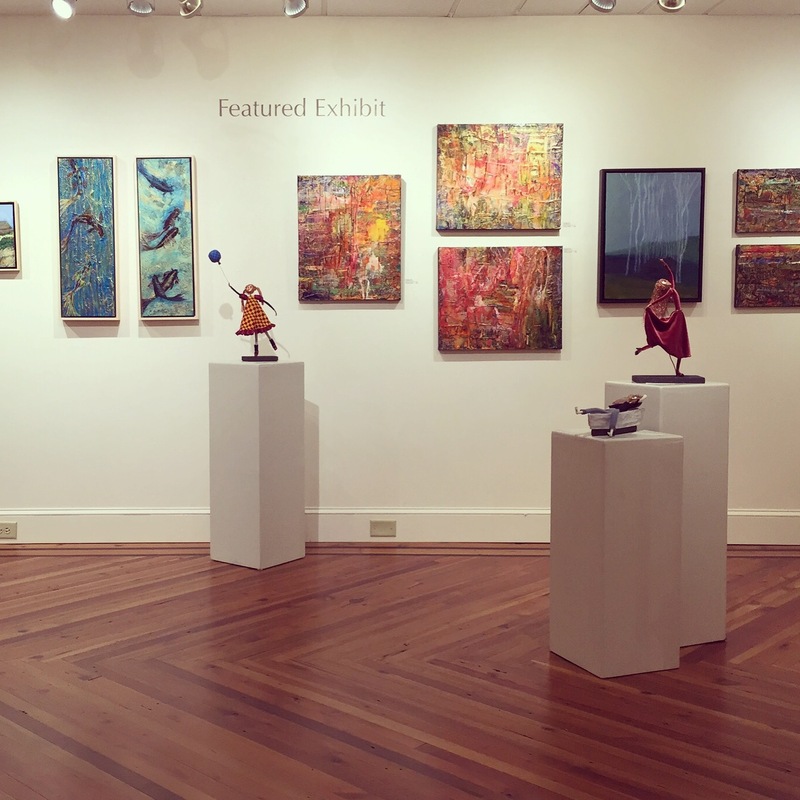 The opening reception is this Friday, May 29th, from 6 to 9pm during Hillsborough’s monthly Last Friday celebration. 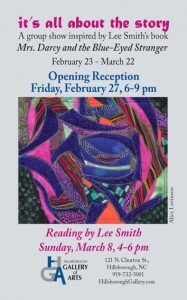 If you are in the area I hope you can join us, and see our new work. Here is a peek into the feature gallery. 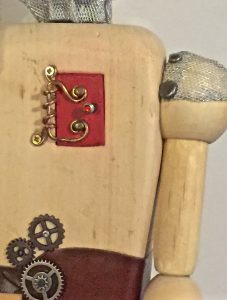 If you regularly read my posts you have seen most of these new art dolls in their studio shots, but here is a bit more of a tease from the gallery installation. 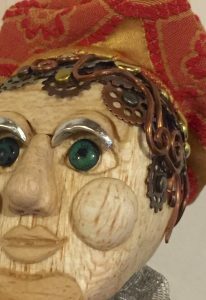 Psyche-Delia is a steampunk rocker. 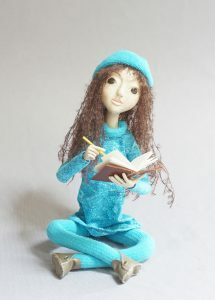 The art doll Media holds a key to…? 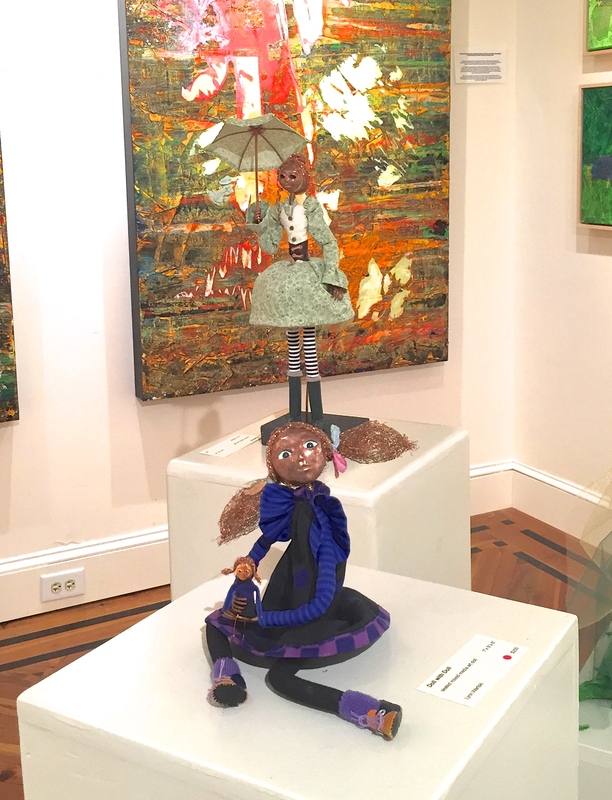 Art dolls: Media, Getting Ready, and Psyche- Delia sit atop a trio of pedestals. 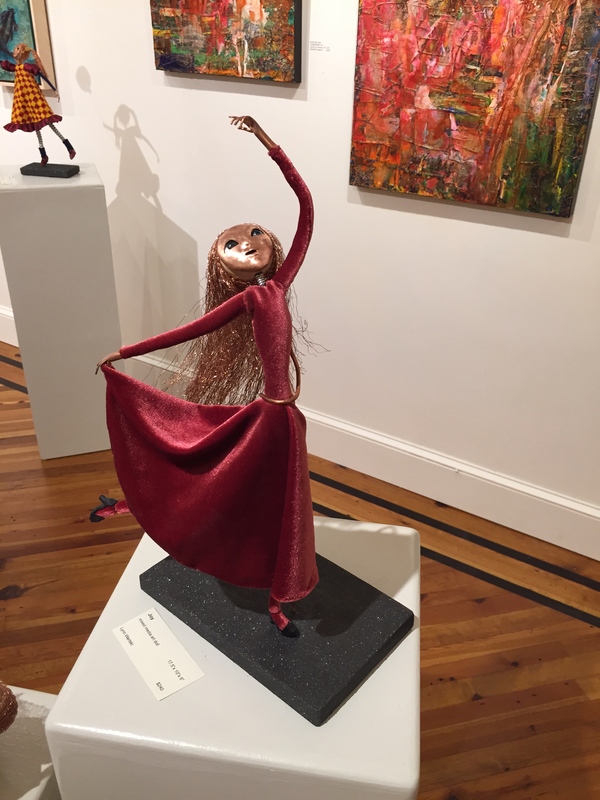 Joy dances in a dress that looks like it may have been pulled from Eduardo’s palette. 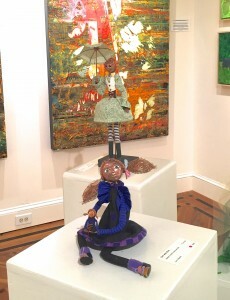 Doll with doll, and figure titled, “Spring” in front of another Eduardo Lapetina piece in the background. 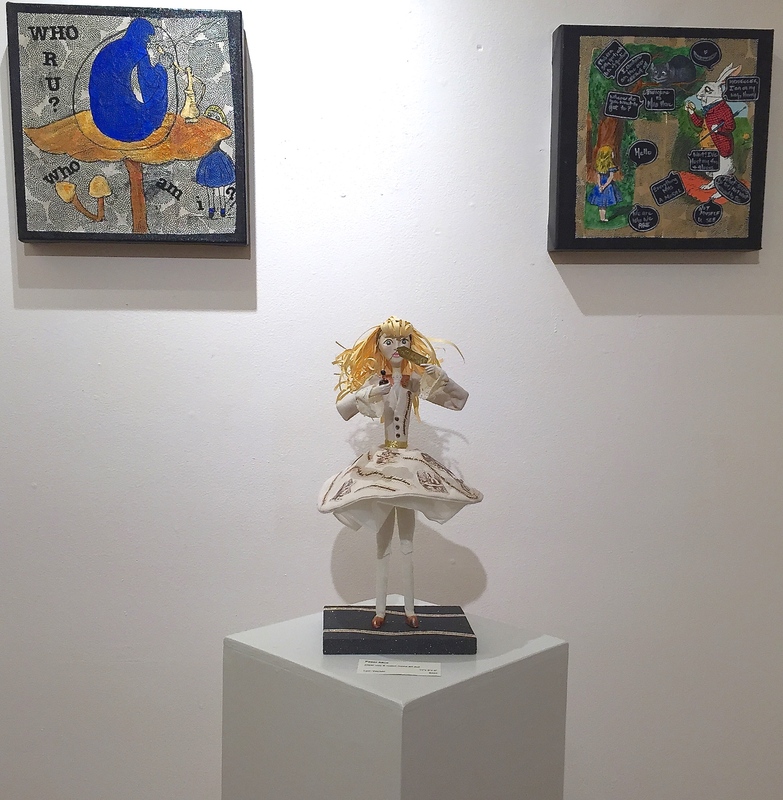 “Paper Alice” art doll with Alice in Wonderland paintings. It was completely serendipitous that Pat Merman had produced two mixed media Alice in Wonderland themed paintings that flank my art doll Paper Alice. 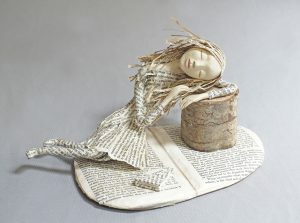 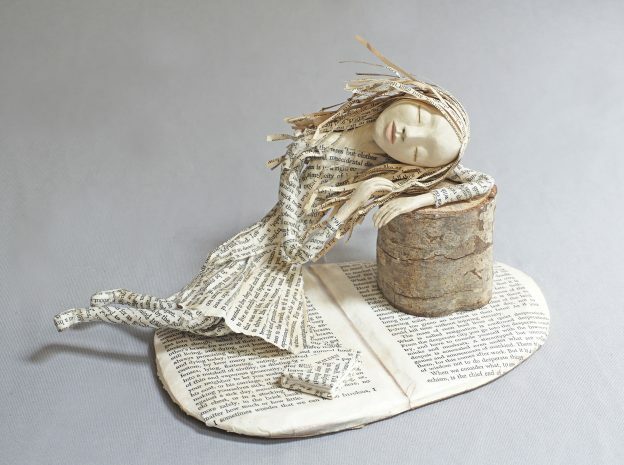 Paper Alice has paperclay sculpted head and hands, and parchment locks. 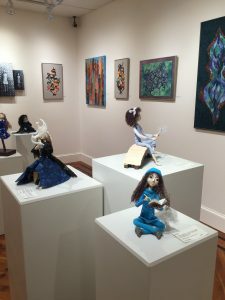 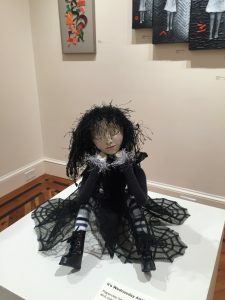 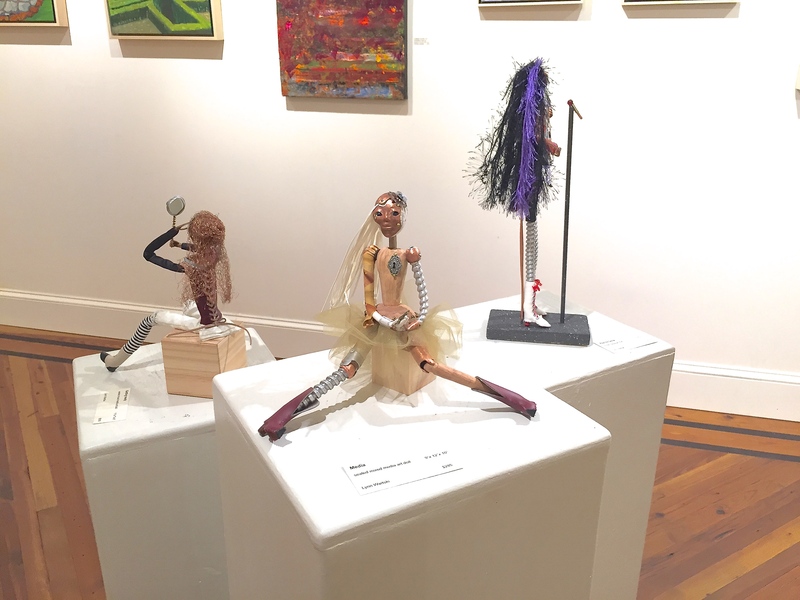 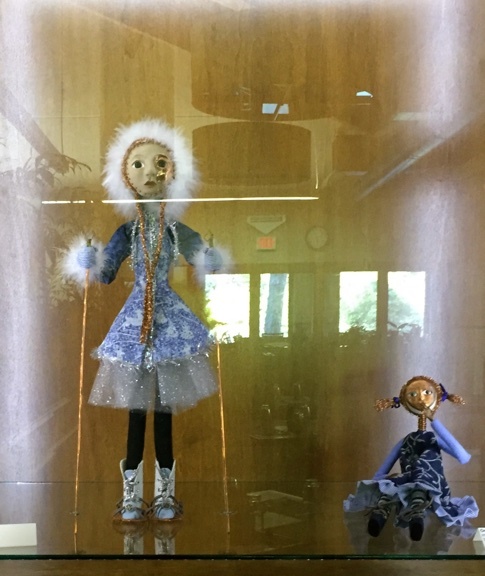 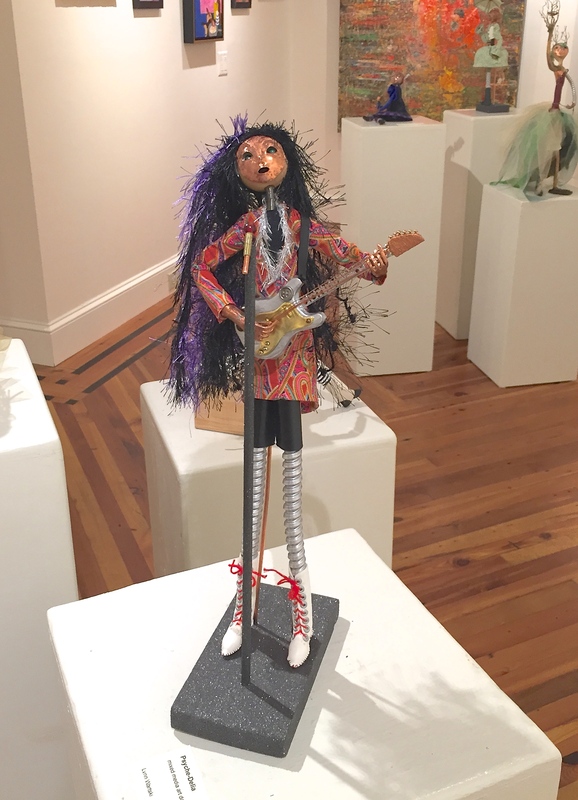 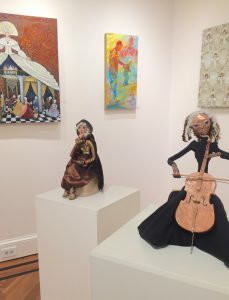 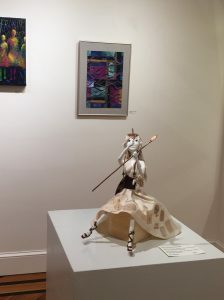 Hope that you can stop by and see these and my other new art dolls in the feature show, as well as, other examples of my sculptures throughout the Hillsborough Gallery of Arts. This entry was posted in Art Dolls, Art Shows and tagged art doll, Art doll show, Art show, copper, figure, figure sculpture, Hillsborough Gallery, mixed media, one of a kind, OOAK, opening reception, sculpture, steampunk, the Hillsborough Gallery of Arts on May 28, 2015 by lynnadmin. 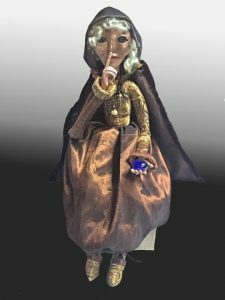 I am busy finishing up the art doll figures that will be part of my feature show opening next week at the Hillsborough Gallery of Arts. 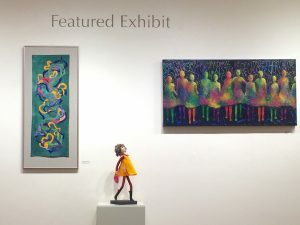 Each year as I put together this body of work, connections between individual pieces emerge. The pieces I have created this year push gesture, narrative and incorporation of materials. 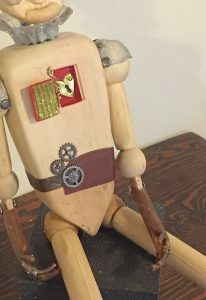 My latest, Mechanical Succession, checks all of those boxes, and is a bit of a stretch beyond the others. 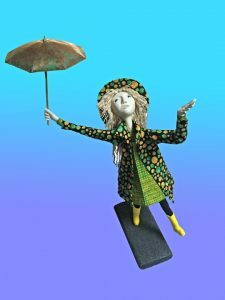 I created her on a slightly larger scale than most, and obviously opened up every tool kit and materials bin in my studio in making her. 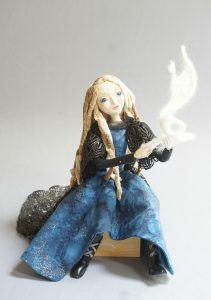 There are still a few tweaks in positioning and perhaps a random detail or two left to add. 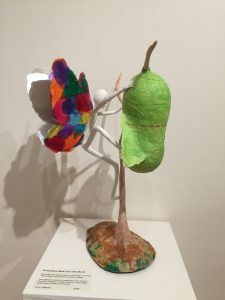 She is definitely on of those pieces I spoke of in an earlier post that you need to take a break from while you are working in order digest what you have done so far. 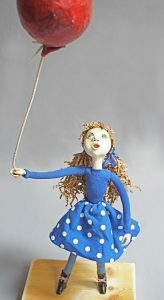 I have to be completely honest and say I’m not sure myself what I think of her yet. 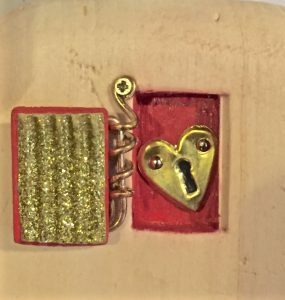 Some pieces go exactly where you want them to, while others take you on their own excursion instead. I feel that Mechanical Succession is one of the latter. 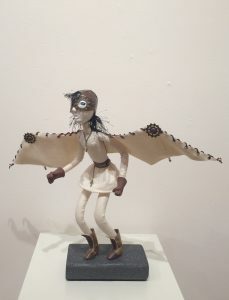 I am guessing that the story that she jumped out of must be an interesting one, though I’m not quite sure if it is some magical fairy tale, or one that cautions us about the future. 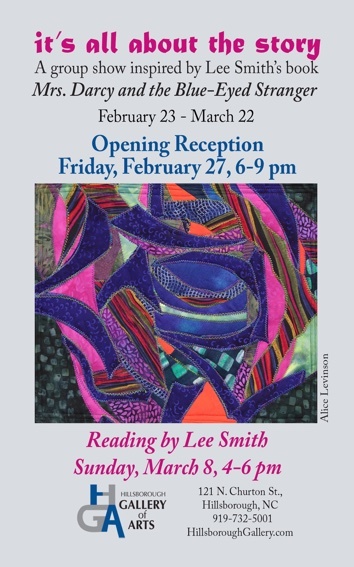 Next week I will share some images of the show installation, and provide one last reminder to set aside next Friday from 6-9 to come out to the opening, see it in person, and say hello. 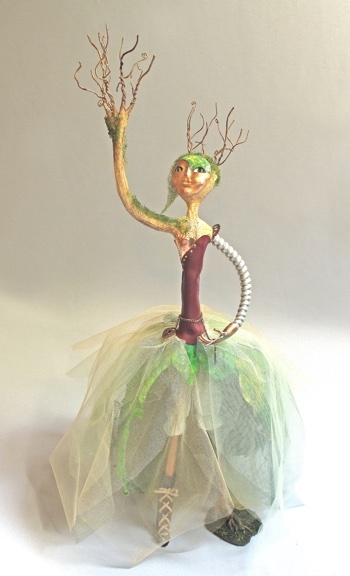 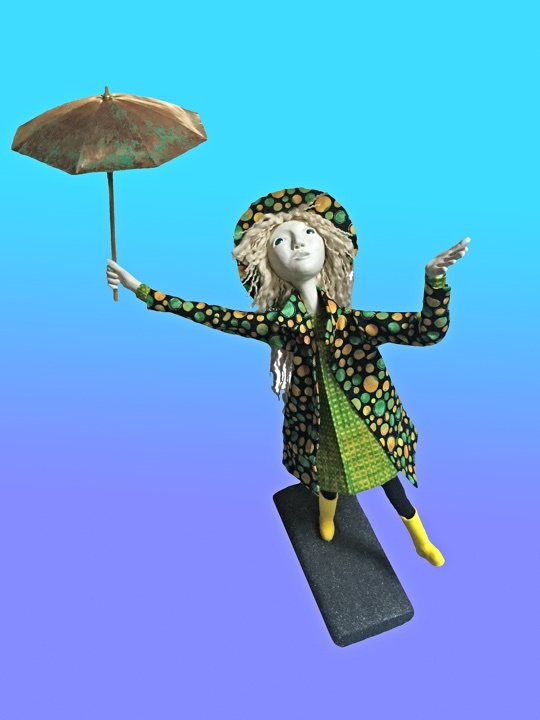 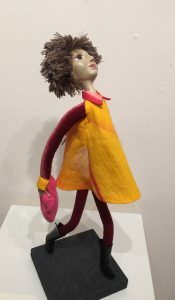 This entry was posted in Art Dolls, Art Shows and tagged art doll, Art doll show, Art show, figure, figure sculpture, Hillsborough Gallery, mixed media, one of a kind, OOAK, opening reception, sculpture, the Hillsborough Gallery of Arts on May 21, 2015 by lynnadmin.